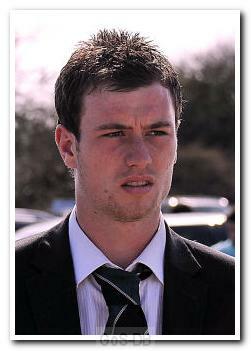 Note: Barnes' totals includes a substitute appearance at Cardiff on 26 December 2009, which was omitted in some reports of the game, so other sites or publications might show one fewer appearance as a result. Commentary of the closing minutes provides the evidence (click here - copyright BBC Radio Devon, with permission and thanks). Bath-born Barnes joined Argyle from non-league Paulton Rovers after an extended trial period on the recommendation of Chief Scout Gary Penrice, and had loan spells with Oxford United, Salisbury City and Eastbourne Borough before breaking into the Pilgrims' first team squad under Ian Holloway. On account of his grandmother, Barnes turned out for Austria at under-20 level against Switzerland in 2008. Despite a promising spell in the team at the end of the 2008-09 season, he did not progress during the next campaign and was due to spend the final three months of the season on loan at Torquay United. However, he returned to Home Park within a month after failing to score and then joined Brighton and Hove Albion in a similar deal. Barnes scored four times in eight games during a successful loan spell on the south coast, including a goal on his debut against Tranmere Rovers. Suitably impressed, Brighton manager Gus Poyet admitted he would be interested in a permanent deal, a move that was completed early in the following pre-season for an undisclosed fee. 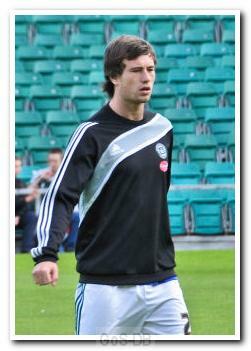 Ultimately, Barnes went on to make over 150 appearances for the Seagulls and scored 56 goals. With the benefit of hindsight, it would seem another example of a player leaving on the cheap during Argyle's financial meltdown and downward spiral into administration. Thriving under Poyet's tutelage, Barnes headed the winner in a 4-3 home victory over Dagenham and Redbridge in April 2011, which sealed the Seagulls' elevation to the Championship, and ended the season with 20 goals in 49 appearances. The following season he topped the club's scoring charts with 14 in all competitions but was banned for seven games by the FA in March 2013 after being found guilty of tripping a referee during a Championship match. With his Albion contract up for renewal in the summer, Barnes joined fellow Championship side Burnley on a three-and-a-half-year deal in the 2014 January transfer window, becoming the first player that manager Sean Dyche paid a fee for, albeit another undisclosed one. The bustling striker played a pivotal role during the second half of the season, scoring the first goal against Wigan in the win which sealed the Clarets' automatic promotion back to the Premier League after a four-year absence and earned him the goal of the season award from the club. In November 2014, he grabbed the only goal of the game at Turf Moor as Burnley secured a first win of the campaign against Hull City. In February 2015, during a Premier League match at Stamford Bridge, Barnes caught the attention of the national media and particularly incurred the wrath of Jose Mourinho after Barnes inflicted what the Portuguese coach described as a "criminal tackle" on a Chelsea player. Barnes escaped censure by the FA for the incident which was also labelled as "naughty" by former England striker Alan Shearer. Barnes scored five Premier League goals in 2014-15 but suffered a serious knee injury on the final day at Aston Villa - a setback that ruled him out for most of the 2015-16 Championship campaign. He returned to playing in April 2016 and during the following season, with Burnley back in the Premier League, Barnes made 31 appearances and scored six goals.